Jesse Brace Coller is listed with his wife, Sarah Losey, in the 1860 Federal Census of Macon Township, Lenawee County, Michigan. It states he was 62, a farmer and born in New Jersey. The value of his Real Estate was $6400 and Personal Estate $1178. His daughter Nancy Coller Aten and her family are listed as living with Jesse and Sarah. Others in her family were Jackson Aten (37) and Alonzo Aten (4). Henry Courer (12) also lived with the family. The 1840 Census has Jesse B Coller living in Macon, Lenawee County, Michigan. 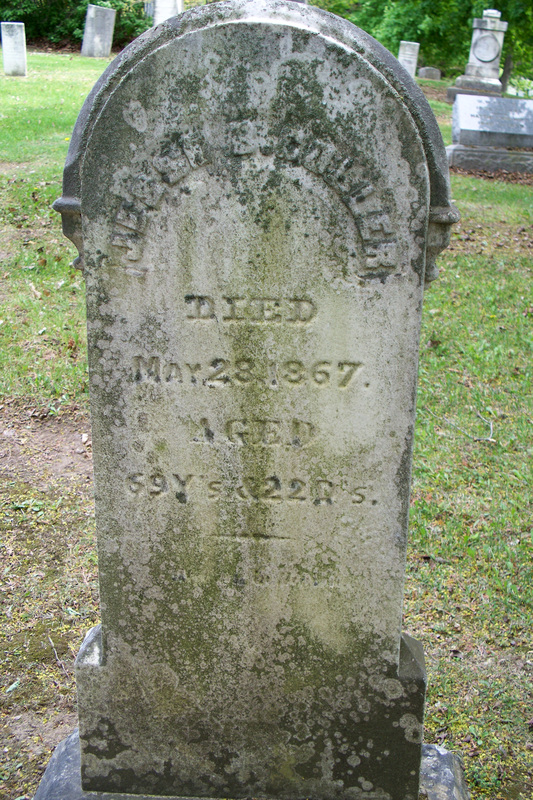 This tells us the family moved from New York to Michigan sometime between 1830 and 1840. Michigan was granted statehood in 1837. The 1830 Census of Conesus Township, Livingston County, New York shows Jesse B Coller living with his wife, a son and a daughter. Jesse and his brother James both moved to Lenawee County, Michigan about the same time. Jesse established his homestead in Macon Corners. 2. Place: Location of Macon, Lenawee County, Michigan where Jesse B Coller passed away, 28 May 1867.